This blog seems to be transforming into the Bosch repair blog... though in fairness, I've now been using these appliances for over 8 years. I guess two DIY-able problems in that time with 3 appliances (range, dishwasher, & over-the-range microwave) isn't so bad. Anyway - my dishwasher, an SHE45M05UC /48 befell a common problem related to the control board, in which a solder point on the relay controlling the water heater burns up all the solder and becomes disconnected. The symptom of this problem is that the dishwasher cycle takes a very long time to complete, with the display showing "1" for a very long time while it just keeps running. This is because the control module is waiting for the water to get hot enough to run the sanitization cycle, but it never happens, because the heater won't turn on. There is actually a recall of many dishwashers because of this problem, since it appears that in rare cases it could result in a fire. However, mine was not in the list of models covered. So, on to fixing it myself. First was identifying the problematic part for my particular dishwasher. It's Bosch part # 676962 -- a roughly $250.00 affair. Being about1/3 the cost of a new dishwasher I figured I would at least give a shot to repairing it before replacing the whole thing. Back to google... I'm not going to cover the do-it-yourself fix because there are already lots of great resources out there. This blog post covers the repair in detail.. This was my starting point. 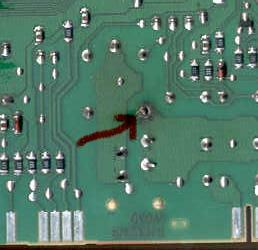 In my case it was obvious which relay was problematic because the contact had burned. I probably could have just re-soldered the burned contact point, as others have, but I figured since I had the whole thing apart I should replace the troublesome relay. The part referenced in the blog post above, an Omron G5LE-14 6DC, is no longer available. 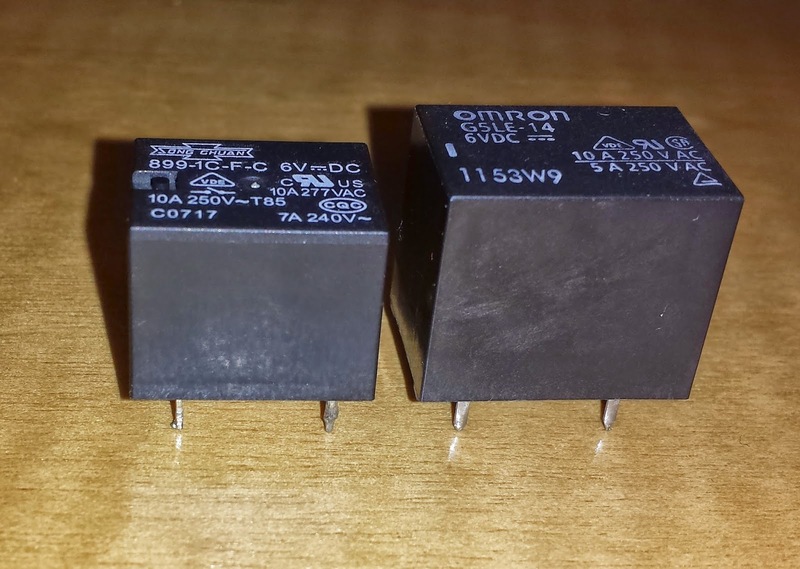 I located an essentially similar relay G5LE-14-DC6 at Mouser Electronics which has the same specifications. I was able to desolder the old one easily and replace it with the new part. It worked like a charm. One thing I didn't quite count on was that the part I found has a slightly larger form factor, and when installed, you can't quite snap the cover of the control module's shell closed. This requires a slight modification to the cover in order to close it without use of force. I managed it with a heat gun. All told this effort cost about $8 ($1.41 + shipping for the relay) versus about $250.00 to replace the control module... well worth the 10 minutes of work to swap out the relay.